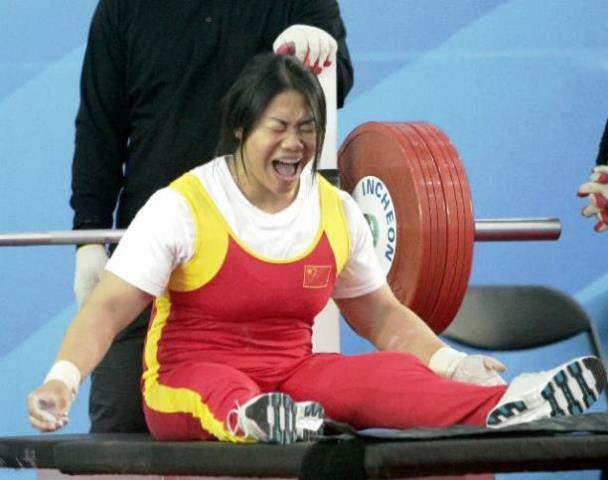 In an impressive display of power the 24-year-old added 0.5 kilograms to her world mark with an opening effort of 133kg before lifts of 135kg and 136kg saw her claim the gold medal with ease. She then went on to lift more than twice her own body weight with a final lift of 137kg to confirm her dominance in the women's under 67kg category. Thailand's Somkhoun Anon finished a distant second with 102kg, ahead of Indonesian Sri Rahuyu. Tan was joined at the top of the podium by compatriots Yan Yang and Shanshan Shi who triumphed in the under 61kg and under 55kg divisions. In the men's competition, Iraq's Rasool Mohsin also broke his own world record in the under 65kg division on his way to gold with a lift of 213kg while Jordan's Abdelkareem Mohammad Ahma won the under 72kg category with a lift of 197kg. 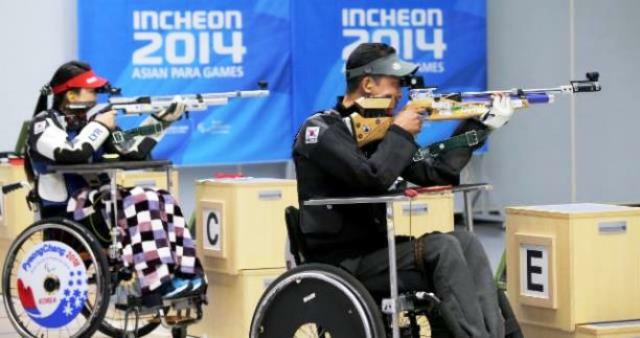 On the third day of sporting action in the South Korean city, the hosts claimed a number of gold medals, proving particularlysuccesful at the Ongnyeon International Shooting Range. The trio of Jin-Ho Park, Jae-Yong Sim and Jin-Hwa Jeon set a world record team score of 1904.7 in the R3 mixed 10 metre air rifle prone SH1 competition. But it was Lee rather than world champion Park who topped the individual podium with a score of 211.6. A close battle saw Lee finish ahead of her compatriot by just 0.6 points while bronze went to China's Paralympic champion Cuiping Zhang. Young-Young Jeon secured South Korea's second gold after leading the R5 mixed 10m air rifle prone SH2 finishing with an Asian record of 211.0. Thailand's Tanong Channam secured silver while a good day for South Korea was completed by Geon-Soo Kim who picked up bronze. Two more gold medals followed for South Korea in wheelchair dance sport as Young-Ho Lee and partner Lee Eun-ji took top honours in combi latin class two while Jong-Chul Choi and Moon-Jung Choi claimed gold in the standard class 2 event. China's Wah Keung Ma and Hei Man Ho were the top pairing in the combi latin class one category. China's medal train continued unabated, however, during the swimming and athletics competitions. Shiyun Pan and Shengnan Jiang bagged two golds apiece for China in the pool. Paralympic champion Pan triumphed in the men's S7 100m freestyle and 50m butterfly, while Jiang picked up titles in the women's SB8 100m breaststroke and 100m freestyle. There were also wins for men's S6 swimmers Qing Xu and Tao Zheng, SM10 athlete Furong Lin while Meng Zhang and Yongija Cui claimed their second gold medals of the Games with wins in the women's S10 400m freestyle and men's SB8 100m breaststroke events respectively. South Korea celebrated two swimming golds in the form of Hyun Kwon and Kyunghyun Kim while Dmitriy Li and Anuar Akhmetov topped the podium in the men's S10 400m freestyle and SM12 200m individual medley. Over at the Asiad Main Stadium, athletics competition continued and yet again it was the red flag of China flying highest. On the track, Chinese dominance was highlighted by a one-two in the men's T13 100m and women's T53 800m. Bingbing Jiang led Guo Jin home in the former while Hongzhaun Zhou finished ahead of Lisha Huang in the latter. There was also wins for Wenjun Liu in the women's T54 800m, Lin Zhu in the women's T13 100m, Huzhao Li in the men's T53 100m, Guiqing Liu in the women's T11 200m and Yanping Wang in the women's T44/47 100m. In field events, the women's F33/34 javelin title went to Zou Lijuan while the men's F42/44 javelin crown was claimed by Yanlong Fu. Mingyu Chen added the men's T11/12 long jump, Fexia Dong triumphed in the women's F55/56 discus while the women's shot put F35/36 title was claimed by Jun Wang. Elsewhere, there was double gold for Malaysia as Mohammad Azlan Mat Lazin won the men's T37 200m and Siti Nooriasah Mohamad Ariffin strode to glory in the women's T20 400m. There was also triple success for Thailand, as Saichon Konjen claimed victory in the men's T54 100m, Rawa Tana won the men's T54 5,000m and Pichaya Kurattanasiri scooped the men's T53 400m title.